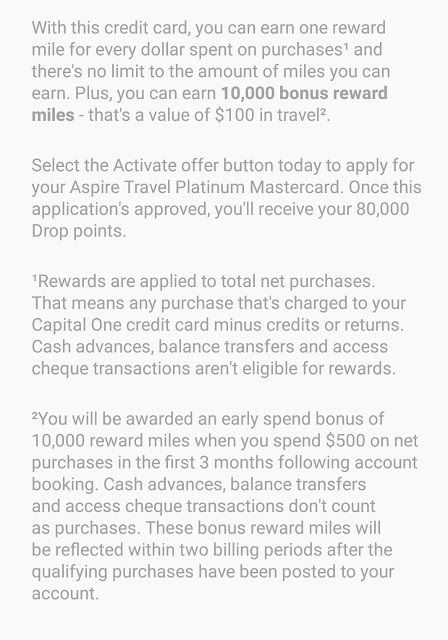 It seems that Drop now has stepped into the world of credit cards: until September 30, if you apply for a Capital One aspire travel platinum mastercard (click to load this offer in case you don't have it) via Drop and get approved, you will receive 80,000 drop points bonus (worth of 80 dollars!). 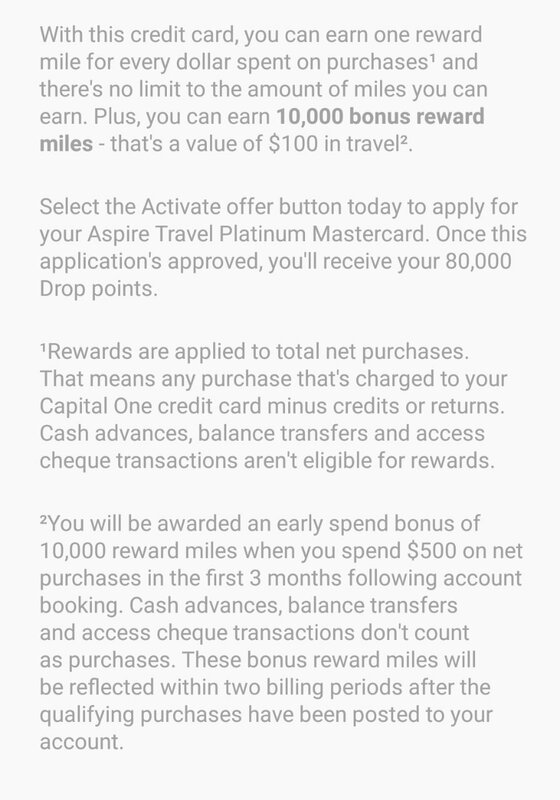 On top of that, if you manage to spend 500 dollars in the first three months upon approval of this card, you will get another 10000 travel points on the card, and that is worth 100 dollars. For those who are new to Drop, I would say this is probably another reason you should have it on your phone. 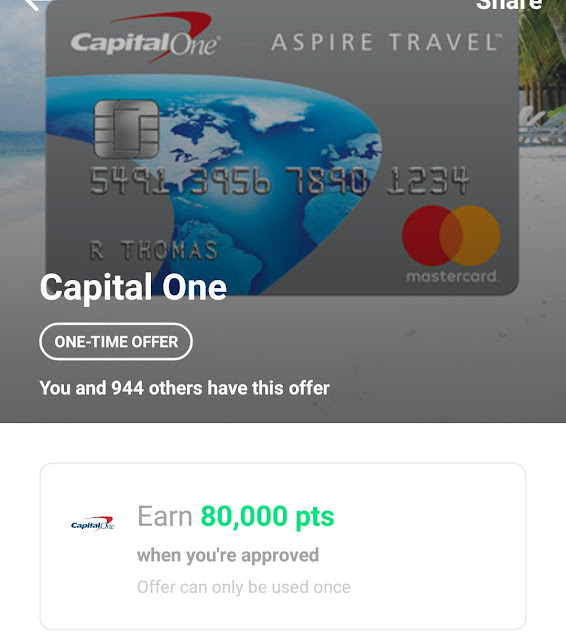 In the future let's hope there are even more offers for credit card applications. Use our referral code: phdguy so that we both can have 1000 more points!